It is with the deepest sadness in our hearts that we have to say goodbye to our very dear friend and NEBA member Paul Gilbertson, who was taken from us far, far too soon. Nothing can be said about Paul that hasn’t already been said since his passing. 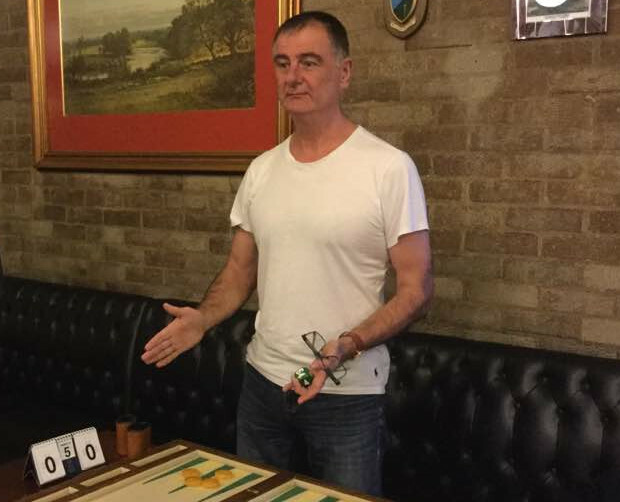 The outpouring of tributes from the backgammon community shows us all just how loved he was. He was a man that had absolutely no idea at all of how popular he was, and as tragic as fact is, now that he has passed, it may well be the biggest reason (among many, many reasons) that he was just so very special. NEBA will honour Paul with a minute of silence and some tributes at 7.25pm on Monday 4th June at our monthly meeting and Paul’s funeral will be held on Wednesday 13th June 2018 at Durham Crematorium, South Road, DH1 3TQ beginning at 11am and all are welcome. No flowers, please. Instead donations to the MIND mental health charity would be appreciated. Paul’s family are hosting is a tournament at 1pm on Tuesday 12th June at the Honest Lawyer Hotel, Croxdale Bridge, Croxdale, Durham, DH1 3SP & several players from around the UK are expected. Rest in Peace Paul, you’ll never be forgotten.